Thankful Thursday | The Happy Wonderer ~ ellen b.
I have two new recipes up on the Mennonite Girls Can Cook blog this week. 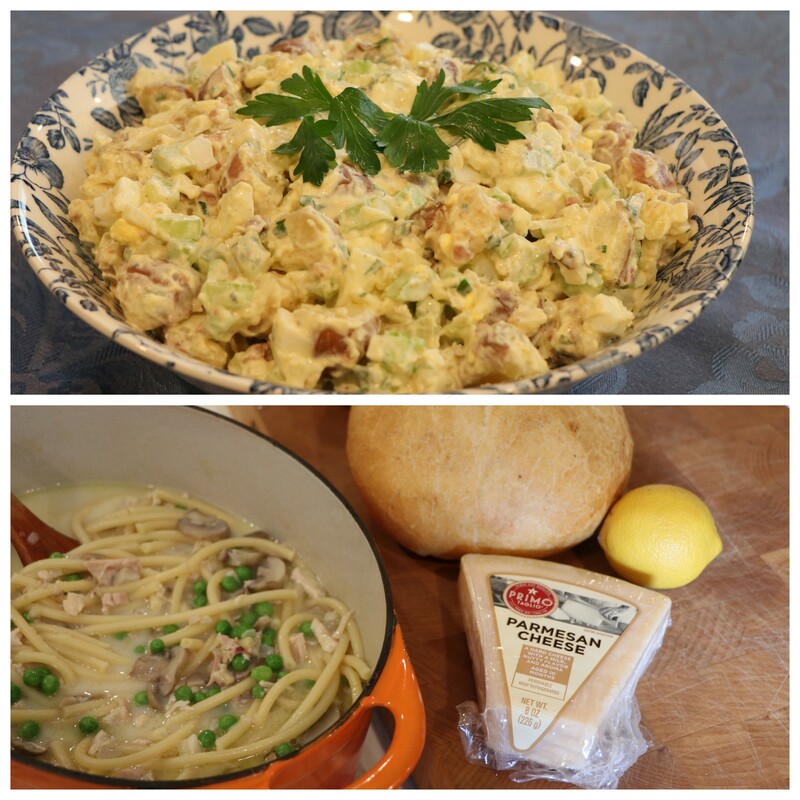 The Rustic Potato Salad has been enjoyed already on three separate occasions at this old house and the Chicken Tetrazzini Soup is also a new favorite. It has just the right amount of creaminess and the lemon zest adds a wonderful finish. 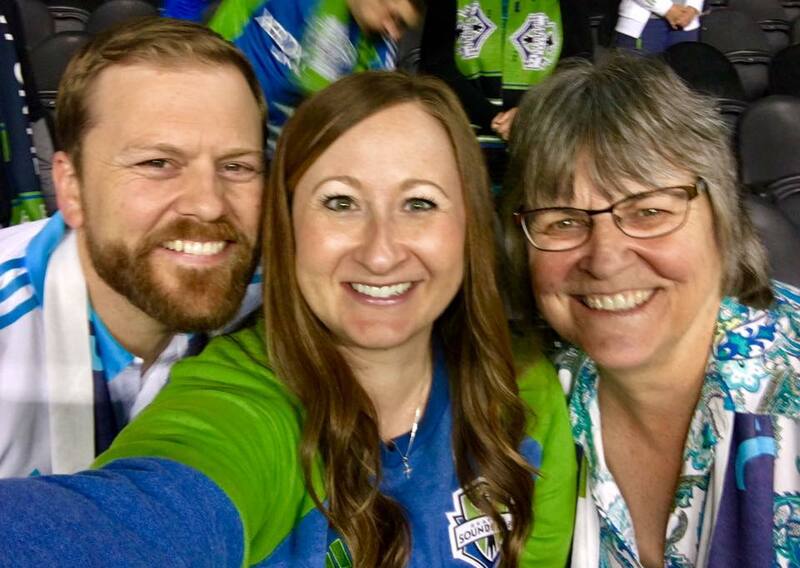 Last night my son, daughter in love and I enjoyed a beautiful shirt sleeve night at Century Link field in Seattle at the Seattle Sounders Soccer game. It was especially fun for us since our Sounders finally won a game with a 3-0 shutout. We’ve been on a tying streak and then we lost our last game in Salt Lake City. Winning is a treat and spending time with these two brings joy to me. In 2007 and 2008 I participated in a weekly meme called Thankful Thursday. Here’s one of my posts from October 17, 2007. To do the works of the Father, too. I’m still thankful and always will be thankful for Jesus and what he’s done for me. I’m thankful for Dear and the family God has given us to love and enjoy and grow alongside. I’m thankful for good food and the Mennonite Girls Can Cook who have become some of my nearest and dearest friends. I’m thankful for good bloggy friends. Some of you I have met and some I haven’t met in person but I cherish you nonetheless. You have encouraged me, prayed for me and my family, entertained me, taught me, inspired me and made me laugh out loud. I’ve traveled to places I’ll never be able to go through your posts and I’ve enjoyed your adventures. I’ve grieved with some of you as you’ve said goodbye to your spouses ad other loved ones. I’ve also grieved the loss and miss posts from bloggers who have died. Blogging has been a good thing in my life, thank you Lord! Linking up with Michelle at It’s a Small Town Life for Thankful Thursday and tomorrow I’ll link up with Susanne at Living to Tell the Story for Friday’s Fave Five. Posted on September 28, 2017 by Ellen •	This entry was posted in Thankful Thursday, Worship and tagged Chicken Tetrazzini Soup, Family, I Will Always Love Your Name, Mennonite Girls Can Cook, Recipes, Rustic Potato Salad, Seattle Sounders F.C., Seattle Sounders v Vancouver Whitecaps. Bookmark the permalink. …and I’d be thankful to see another picture of cutie pie. Hello, you have lots to be thankful for now! Love the family shot at the game. The food looks delicious, my hubby loves anything with potatoes. Happy Thursday, enjoy your day and weekend ahead. Glad you enjoyed the soccer game. I appreciate your blog friendship very much. It’s been a difficult summer for us and I appreciate you returning to visit with me after my long blog break. Wishing you a terrific upcoming weekend. Hello Ellen, you are a great blogger so I’m thankful to have gotten to know you better and share in the joys of your family life and your faith which you share so clearly and openly. I love the words of the song. Reminds me of Isaiah 12 which I’m trying to memorise at the moment. You three look like a happy group!! Thank you so much for linking up today! I appreciate it so much! Have a GREAT and blessed weekend ahead! I love this thankful post! It is always a good thing to count our blessings! So thankful for His grace!! And, yes, I also share your thankfulness for the many blessings of the world of blogging! Isn’t it amazing how we care about each other in the blogging community. It’s a bit like the old fashioned pen pal except much more instant. No need to wait for the post. I love chicken tetrazzini and used to make it for company years ago, so I will definitely try the soup recipe! Have a nice weekend. It is wonderful to read your post linked up to FFF. Thanks for the links to two new recipes. I’ve never had bacon in potato salad. And I’m asking myself, why not? I am going to see if I can adapt your other recipe using gluten-free pasta. And I agree, I have gained much from bloggy friends. Have a good week, Ellen. What a blessing to enjoy spending time with your kids! Glad you got to attend a game in person with loved ones, and that they won! Exciting! I have never been much of a sports fan, but have started watching UT football the last few years since we’re in the heart of Vols territory. I’ve not heard that hymn, but the words are wonderful. I didn’t know, when I started blogging, that developing such good friendships would be a part of it, but I treasure them. Happy to have “met” you here! Lovely photo. Looked like you were having a great time. I just realized the three of you were in your soccer team colors. Great photo of the three of you. Recipes look delicious and this is a sweet and thankful post. Delicious food good company and fun what do you want more !! What a lovely post. I love potato salad. Definitely a comfort food for me. That soup sounds delicious. My kitchen is still in boxes but I’m buying potatoes today and making salad. It’s time to eat something other than cheese and crackers or cereal…LOL. Thanks for the nudge.